A convicted felon in Maine can vote from prison while a felon in Florida may never vote again, illustrating dramatically different state rules. 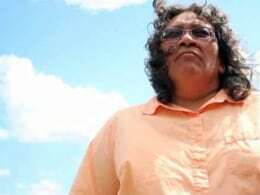 In South Dakota, Eileen Janis, who was convicted of a theft but served no time in jail, was allowed to vote only after election officials learned the state laws, which can be confusing. Produced by Alia Conley and Emily Nohr, News21.